Until I can finish a book or publish papers, I really can’t do this topic justice. And I’m not really sure users of my site (SolveEczema.org) really need much explanation. Once people really read and understand the site, and put the strategies into practice, what I’m about to say is pretty obvious. A lot has been written in recent years about the “Farm Effect” — an astute observation made by pioneering eczema/hygiene hypothesis researchers that people who live on farms tend to have less eczema than people who don’t. This led to speculation about whether the reason had to do with dirt or microorganism exposure. While I am not discounting microbial involvement — please see SolveEczema.org discussions for a different take on probiotics and eczema, and the last part of this very short paper that I wrote https://thewinnower.com/papers/3412-abnormal-ampli-cation-observations-from-applying-the-engineering-method-to-solving-eczema-and-atopic-disease — I also think people are making this far too complicated (with far too much contradictory evidence that isn’t explained). Researchers found a far higher rate of allergy, asthma, and eczema among children aged 6-12 who were from families of Swiss non-farmers than Swiss farmers. They also found the Swiss farmers had a higher rate than Amish in the US (who tend to be farmers, though not all). Researchers may have chosen the comparison with Amish in the US because they originally came from Switzerland, and may be genetically similar, although the comparison would have been even more useful if they had also surveyed the Amish-like communities still in Switzerland. So, to summarize: The Amish had the lowest rates of allergy, asthma, and eczema. The Swiss farmers had less allergic diseases than non-farmer general population, but higher than the Amish. This relative difference was true also for allergic sensitization to various allergens on testing. The significant difference between the Amish and the farm families suggests the need to consider other influences. Additionally, Switzerland is such a small country where farming and the farming community is simply not that isolated from the rest of the nation. It’s nothing like the US where you might have to drive a hundred miles to see a cow (or a farmer). While Switzerland is an extremely clean country, let’s face it, the dairy industry is pretty important — it’s hard not to notice that there are a great many animals and a great many flies because dairy is so well integrated into the landscape. I just can’t see making a strong case that any population is that well isolated from any other there microbially. Swiss goats are everywhere, too. But in terms of lifestyle, the general Swiss population of non-farmers is using the same kinds of new surfactants that everyone else in the industrialized world is using where eczema and asthma are so high. They spend more time in homes breathing the detergent “dust” from this use than do farmers, who spend more time outdoors. Swiss farmers may or may not be using less of such products. While I doubt they are making their own soap anymore — though I do not know — they do spend more time outdoors, away from breathing such dusts. Recall that these substances increase antigen penetration of membranes, including lung, i.e., to the immune system, it’s as if there is more allergen in the environment. In the US, farming communities gave up making their own soap later than everyone else. In some farming communities, soapmaking remains a strong tradition. The Amish are one of those communities, probably the most significantly so. Although acceptance of the modern can vary among Amish communities, there is a strong tradition of soapmaking among the Amish. This essay about Amish life in the 19th century (search on the word “soap”) describes the process. While it can be truly difficult to get specific data, it’s very unlikely that this tradition has changed much, if at all. This relatively new environmental factor — the use of these highly hydrophilic modern surfactants that I believe are amplifying “normal” allergic processes — has a much more consistent and close ecological link to allergy, asthma, and eczema increases than any of the other explanations, across time and geography. This factor should be included in these types of studies, because of the potential to reconcile so much seemingly contradictory evidence, not just when it comes to the “Farm Effect”, but also when it comes to the research on allergy and exposure to pets like dogs and cats (especially the contradictory evidence when it comes to cats), or studies of allergy in households that handwash versus dishwasher wash the dishes. Getting into details is a long discussion for another day. However, because these surfactants can so powerfully influence human membranes in a way that is known and directly speaks to allergy, I think it’s too bad the studies don’t include anything at all about this factor. Especially since, as in the study above, there is likely to be a big difference in usage between the populations. The SolveEczema.org perspective reconciles the major inconsistencies in the research of most of these different factors, such as the Farm Effect. And the SolveEczema.org strategies, from experience, happen to lead to dramatic reduction of asthma and allergies in concert with eczema amelioration, not just for the child with eczema, but everyone in the household. And it doesn’t require getting dirty or rolling around in cow or horse … um … microbes. This room was one part of a structure also housing a mountain café, where day hikers frequently stop for tea or hot cocoa. Note the nearly brand new calf. OK – this isn’t a common sight in Switzerland – but cows (and their microbes) are. I still regularly hear from people who experience asthma improvements from implementing the SolveEczema site strategies. I would like to share a letter I received a year ago from Julie Leung, a mom in Canada who implemented SolveEczema.org strategies to solve her children’s eczema, and with whom I have been corresponding. She describes the benefit to her own asthma as an adult. I’ve heard this a lot, the benefits even to those who don’t have eczema, particularly to asthma and skin quality. I thought her description was very powerful. Even though people breathe in a great deal of detergent in “dust” these days because the dust in most home indoor environments comes largely from hair, skin cells, lint, I have always downplayed the potential benefits to asthma and other lung conditions pending research validation, and because I do not believe environmental detergents (as defined on my site) are the underlying cause of asthma, but an amplifier, abnormally influencing the membrane and the normal function of the immune system (for the reasons discussed on SolveEczema.org). Additionally, unlike with eczema, there is no way to give people simple GRAS (generally regarded as safe) recommendations that provide the kind of direct feedback that people with eczema experience when they properly implement SolveEczema strategies. Until there are studies, it’s much harder to convince people to do what is necessary if they don’t have the immediate feedback of those with eczema. Nevertheless, because so many people describe their improvements, I feel it’s important to share what is possible. I am posting this to help people who are proactive and looking for better answers in their own health journeys. It is not intended in any way as medical advice (as everyone who reads my site knows, I am not a doctor), nor intended to replace the relationship between doctor and patient. In fact, please only read further if you have a good relationship with a doctor managing your asthma. Implementing the strategies from SolveEczema.org is not trivial and requires understanding a very different perspective. Things can go wrong, too. A relationship with a physician is essential. Implementing the strategies may help, but given the range of contributors to asthma, I do not want anyone to think I am suggesting a replacement for sound medical advice, follow up, and care. Asthma medications can save lives. Implementing the site strategies for asthma takes time, on the order of months, and unfortunately can be all too quickly reversed because of modern environmental influences that are sometimes out of people’s control. Do NOT make changes to care based on a website (mine or anyone else’s) without thoroughly understanding and consulting with your physician. Only make changes per SolveEczema if you’re willing to understand and do it safely, with your doctor in the loop. In addition to the successes we’ve had with our children’s eczema, I wanted to share the surprisingly positive impact on my long-standing asthma. I hope my testimony, so to speak, might help someone else. When my husband and I began implementing the framework given on your site, I was on a year long maternity leave from work after the birth of our daughter and was spending most of my time in our detergent-free home. By January of 2013, I discovered that my asthma had gone away completely and it seemed correlated to the detergent removal in our home. From what I had already read on your site, my asthma disappearing was not an altogether unexpected result, but the extent of the improvement was wholly astonishing, and felt nearly miraculous. I later returned to work and therefore to regular daily detergent exposure outside my home, and the resulting return of my asthma has convinced me of the significant impact that detergents have on my asthma. What it also showed me was that I can have control over my well-being in a way I never would have thought possible before reading your site. I’ve had asthma since I was a teenager, and in my adulthood, it came “under control” through regular use of steroid inhalers. Consistent with widely-accepted asthma management protocol, I was told that need of a “quick response” inhaler (like Ventolin) more than a few times a week meant my asthma was “out of control” and needed to be quieted by increasing the frequency and/or dosage of my steroid inhaler. You’d pointed out to me that “steroid fears” are well-documented in the medical literature, and I found myself reflected in those profiles — I have always felt uneasy about taking so much steroid. Over the years, I’ve constantly tried to use as little as possible, or wean myself off them completely. Off, or on an inappropriately low dosage of, the drugs, my asthma is fine until I get a cold or exercise above my typical intensity. Then, inevitably suffering from constant wheezing that isn’t relieved by my “quick response” inhaler, I begrudgingly ramp up my steroid usage and maintain this dosage for at least 2 weeks, until my asthma once again comes under control. When I found your site, we implemented the changes in our household to help our children, but I considered that I might also benefit from them. I stopped taking my steroid inhalers, almost subconsciously, at the same time we started detergent removal from our home. It is important to note that there was a period of about 9 months where I was no longer regularly exposed to detergents because I was spending almost all my time in my home because I was on maternity leave and also trying to minimize my baby’s exposure to detergents while problem-solving her eczema. Within 4 months of starting detergent removal, I started to feel that I was perhaps not experiencing the same depth or sensitivity of asthma as I did prior. I started to tell a few people tentatively, always clarifying that I still thought I had asthma, but it seemed to be better. I seemed more resistant to triggers, didn’t wheeze as easily, or it took more physical exertion to have the asthma show up; when it did, it didn’t linger as long, and didn’t seem to need the short-acting inhaler to resolve. 7 months after starting detergent removal, I was invited on a snowshoeing trip in the mountains. The trip was in an area in which I used to cross-country ski frequently a number of years ago, and so my body was generally familiar with the terrain, conditions and weather. Back when I was cross-country skiing regularly, I was exceptionally fit and this seemed to also help mitigate the asthma, raising the threshold of physical exertion before wheezing. However, I always got asthma while skiing, and I always had to stop and take a puff or two of my short-acting inhaler, typically within 5 minutes of starting to cross-country ski, and often again later on in my 4-6 hour workout. At the time of the snowshoeing trip, I had every reason to expect to be wheezy. Not only had I become relatively out of shape, but at this point I hadn’t taken any inhalers for at least 6 months. I brought my inhaler along just in case, but I was really curious to see whether I’d be asthmatic or not. After the initial steps, getting into the groove, I listened to my body, tentatively, half expecting to need my inhaler. No wheezing, not too much tightness in the chest. So far so good. I kept on. And on. And on. 2.5 hours into the trip, I suddenly realized, that despite climbing up and down a canyon, breaking through undisturbed snow at times, and talking while walking, I hadn’t needed my inhaler. At the point of my no-asthma discovery, everyone on the trip was tired, but I had lots of energy because I was so excited! I wanted to try to “incite” the asthma by pushing myself to the limits of physical exertion. I didn’t think I would have many other chances to “test” the condition of my asthma. I nearly ran up a 90 foot incline to the top of a dam, so fast that it was a few minutes before anyone else in our party caught up to me after I stopped. I experienced no wheezing! I could not remember the last time I exercised hard, started breathing hard, and did not feel the familiar tightening of my chest and wheezing coming on. I was elated! Less than a month after that first trip, I went on another snoeshowing trip in the mountains where the level of activity was closer to what I’d regularly done when younger. 4 hours of constant movement and some chatting with my companions through the mountain landscape in cold weather yielded no wheezing whatsoever. Again, I was floored. Less than a month after that trip, my maternity leave ended and I returned to work and into a detergent-filled environment. Within 4 days of returning to work, I ran for the bus for 15 seconds and had the most severe asthma attack I’d experienced in over a year: the familiar sharp, stabbing pain in my chest, the wheezing and compressed lung capacity, and the taste of blood in my lungs — all symptoms typical of my asthma attacks. As you’ve pointed out to me during problem-solving for my children, scientists often test for causation by removing the stimulus they hypothesize is causing an issue, then reintroducing the stimulus. To show causation, it’s not enough that the issue resolves when the stimulus is removed; the issue needs to return when the stimulus is re-introduced. As I reflect, I realize that’s precisely what I’ve inadvertently tested — when detergent are absent, my asthma disappears; re-introduce detergents, my asthma re-appears. When I returned to work, I was in a detergent-filled environment for about 10-12 hours a day, 5 days a week. I eventually needed my steroid inhalers to control my asthma again, but only needed about a quarter of my previous dose for control. Over time, I ratcheted my dose down and used the steroid inhaler so infrequently that I was not considered to have my asthma under “drug control”. Eventually, my asthma settled to a place where it was definitely worse than while I was on maternity leave, but better than the symptoms I’d had my entire life. Overall, compared to before detergent removal, it took more or longer physical exertion or exposure to allergens for my asthma to show up, the symptoms were not as severe when it did show up, and it required less drug to control. In the summer of 2014, I went for spirometry testing. At the time, I was using next to no drug and was feeling some frequent, general chest tightness, as I had since returning to work. The respiratory therapist took 3 different measurements. Surprisingly, she indicated that the numbers from all tests were very good and said that if she saw the numbers alone, without knowledge of my clinical history of long-term asthma, she would think that the patient did not have asthma! In her report to my doctor, she indicated, “Asthma is under control”, despite the fact that she and I both agreed I wasn’t taking enough steroid to consider my asthma as under control from drugs! The respirologist who reviewed my spirometry results seemed to question whether the asthma diagnosis was even correct, something that had never happened before despite decades of treatment. I know that I’m still an asthma sufferer, and, with the “right” conditions (such as long enough exposure to animals I’m allergic to, or if I’m in an really detergent-y environment for a long enough time), I will “express” my asthma. But, I feel also that the clearing of detergents and detergent-laden dusts in my home environment has allowed my lungs to heal in a way that has significantly increased my thresholds to reacting in my lungs, much like it has for my daughter on her skin. And, my results, coupled with observations I’ve made about my son, strongly indicate that I may also have delayed or perhaps even avoided the onset of asthma, or, at the very least, potentially reduced its severity if it does develop, in my children. I hope that my story encourages those that are considering detergent removal or those who have already done so and are hard at work problem-solving for their families. For as depressing as it is that our world is now inundated with chemicals that may have caused such a great degree of unnecessary sickness and suffering, it is hopeful that there is still something we can do about it. Happy Holidays — Best Wishes for a Healthy, Eczema-free (and Asthma-free) New Year! Last February, I attended the first annual conference of the Citizen Science Association, held in San Jose, California. It was a truly energizing and awesome experience! I learned so much from true pioneers in science from all walks of life. Since publishing that poster, I have been trying to publish a scientific paper for peer review. One roadblock I expected, but was surprised to find even more from open source publication outlets, is that everything about this is simply too new and different. The observations and solutions of SolveEczema resulted from the engineering method, which makes use of heuristics. The goal is to most optimally solve a problem, within available resources (see my poster for more). Although I thought about how to do so for a long time myself, there is no way to overlay a traditional study design. So to editors of scientific journals, I may as well be trying to publish Sunday morning cartoons. But forcing this into a traditional format will destroy what allowed me to find a solution in the first place. When the cause of a health condition is an infection, different people may have different symptoms, and there may be a range of symptoms and manifestations across a population of people with the same disease, but ultimately the solution involves finding the one thing in common, the infectious agent, and almost ignoring that range of differences. A traditional study design is adequate to validate the treatment: it’s possible to give everyone a single treatment, or small variations on a single treatment, and a placebo to mimic treatment for comparison. When the cause of a health condition is environmental — as researchers basically agree the modern eczema/asthma epidemic is fundamentally — then the different symptoms people have, the range of manifestations across a population of sufferers, are the result in every case of different environmental conditions and exposures, different genetics, and different immunological states. There may be a common thread or solution, but even once that is found, actually solving the problem for every individual inherently involves problem solving in the context of each person’s exposures, genes, and health status. The differences between people for an infectious disease cause are, in some ways, almost beside the point, whereas in the environmental health cause, they are the point. The engineering method, which uses heuristics, is well suited to finding the environmental cause in the first place, and is essential for validating the solution, because it’s not possible to validate a proposed solution through a traditional double-blind study in which every person does or uses the same exact treatment. There is no way to set up a treatment or series of steps for everyone to follow exactly and get the same results as individuals problem-solving in their own environments using a well-developed heuristic tool to do whatever it takes to get the best outcome. What is held constant in each case is not the treatment, but the aimed-for outcome (by the engineering method), which by current treatment validation paradigms (using the scientific method) isn’t considered possible to do. The scientific method, in this instance, will never be an adequate problem-solving tool to achieve what we consider cure or solution. Where a heuristic solution is applied, when a case is not resolved by properly applying the heuristic, then the heuristic (not the aimed-for outcome of problem solving) is revised or expanded to encompass the outlier circumstance. P.S. Come to think of it, was this “citizen science” or was it “citizen engineering”?…. To the question of estimating what percentage of the eczema/atopy problem relates to detergents — reasonably assessing what percentage of a problem relates to one thing or another implies a broad understanding of the problem across the population. As you are probably aware because it is discussed honestly as a shortcoming in most prevalence studies, to some extent, everyone dealing with the problem of allergy and eczema sees their own little slice, including physicians in virtually all related specialties. Not everyone with eczema will see a doctor, and even if they do, they won’t necessarily continue. In one research study from an obstetrical hospital in the UK, they managed to get over 5,000 parents to fill out detailed health questionnaires to document the association of parental eczema, hayfever, and asthma, with AD in their infants . The families were coming in to the hospital related to childbirth, not an illness, so the cross-section of patients was more representative than one would find in a dermatologic or even pediatric practice. When I solved my infant’s eczema, I had something no researcher could dream of, 24/7 access/contact with my child for months, and once we had solved the problem for our son, interactions across a representative community based on personal relationships and connections to thousands of families through various baby- and family-related social spheres (in-person and electronic). 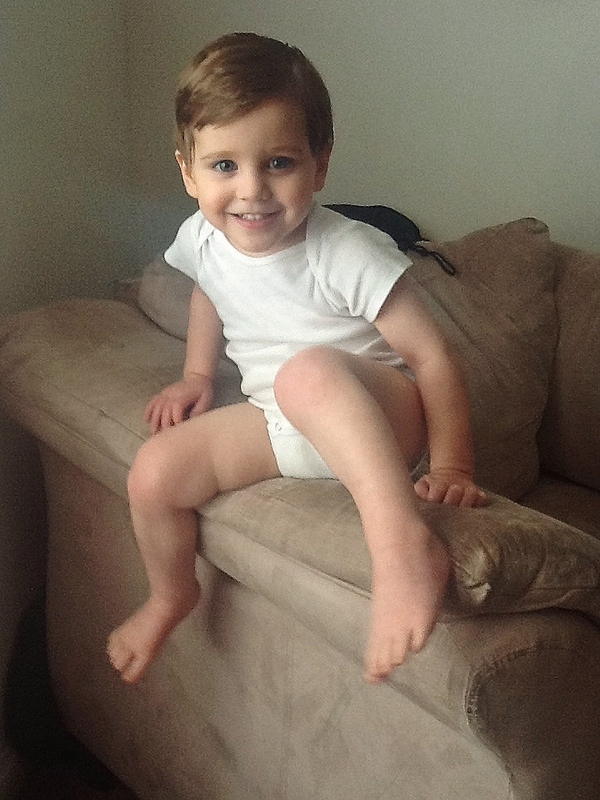 Many people asked for help when they saw what we had done for our son, and word spread. It’s the reason I had to start writing, because dealing with people individually — even just with friends — was too time consuming, though I learned a great deal. When I first published a simple article, I received hundreds of emails in just the first weeks. Last year alone, my website had around 60,000 unique users and the blog tens of thousands of visits, and use continues to rise. Interactions in community/family spheres over the years, especially in the beginning, represented a pretty broad cross-section, and also helped inform my ideas about which modulators likely dominate the problem. Even my experience with my website today — versus 10 years ago — is mainly with a subset of sufferers, because I try very hard only to address people already interested in taking such steps, willing to understand the information and work with their own physician in the loop. Given the relative newness of my ideas and “citizen science” on the whole, and since the strategies can be a lot of work under the circumstances, I can’t address everyone, even though everyone would likely benefit to some degree. The subset of people I’ve seen on a discussion board set up by a parent user (http://sammysskin.blogspot.com) seems to be different than my site’s typical user profile, too. I’m quite certain the subset I see through my site is different than one would see in a medical clinic, too — frankly, many people find the site because they are fed up with the accepted allopathic approach. I usually try to help them see how they need to work with their doctors, because having qualified medical advice is vital (especially for safety and infections, really for anything medical), but I can understand people’s frustration. Although my site strategies have not gone through a traditional study and publication cycle, I would note that neither have the typical personal product and washing recommendations most physicians make to desperate parents already, in fact when I looked, I found more support for recommending washing with traditional alkaline soaps than washing with surfactants that aren’t soap. * The recommendation to avoid “soap” (when “soap” really was soap) appears to have been borne of the marketing sector, not solid medical science, and in fact for a period, physicians recommended soaps and soap flakes over detergents for sensitive people and infants. *It can be very tricky to find such studies because you have to assess whether researchers define “soap” and “detergent” the same way as I do. Soap and detergent are not technically precise terms, so it is often difficult to know what a given researcher means unless a paper is very specific. I hope at a minimum, our discussion highlights the need for more precise definitions of various chemicals and chemical classes in skin research. Unfortunately, the response per papers on the subject of “steroid fears” seems to be to advise physicians to downplay the risks and consequences, a problematic recommendation from the standpoint of informed consent. Being real here, I hear from the parents who are furious with their doctors for downplaying the side effects of steroids or for recommending them even while the treatments no longer control the eczema — doctors aren’t seeing those patients. I think downplaying risks and consequences, particularly of a treatment that doesn’t fundamentally cure a condition, ultimately backfires and hurts patient-physician relationships and trust in the long run. Compliance with traditional treatment regimens can be poor, and declines over time even when patients show objective benefits and have education about their treatment. [ref] Investigators don’t seem to understand that keeping up with such a persistent regimen is burdensome and a constant reminder of the eczema as a personal “defect,” even when it helps reduce symptoms. Fear of flares remains a constant psychological burden. And, there is a big difference in perception between a child getting treatment to keep a problem under control that is perceived as a defect in them, and getting an environmental problem under control where the problem is then perceived as external. Even, I have to add, if the parent employing the environmental strategies also uses some steroid treatment as part of the regimen, at least there is a sense that it’s a choice and the steroid use can be limited. When an environmental factor is at play in a genetically susceptible population, it does not mean that the associated genes are an inherent weakness. I make this analogy on one of my blog posts: If we suddenly began making doorways shorter, so that 20% of the population had to stoop to go through, pretty soon some percentage of people would experience more frequent head injuries. While it would be possible to find and correlate genes with such injuries (tallness genes, for one), and maybe even look for therapies to suppress growth so these genetically susceptible people didn’t get so tall, ultimately the best approach is to raise the door height back to what it was. For the children’s sense of wellbeing in growing up, it’s important for them to see themselves as whole and not fragile, even if they have to be more aware of dangers in the modern environment (for now). Many parents express gratitude once they “get” it, once they can see a connection between exposures and what happens to their child’s skin and health, even if they haven’t completely eliminated the breakouts yet. One of the recurring themes I hear from parents is gratitude for being able to see their children with normal baby skin. You probably won’t understand this fully until you are a mother yourself, but I just received an email from a mother who used the site to resolve her first child’s horrendous eczema — only finding the site when the child was a toddler — telling me how every day she marvels at her second child’s baby skin, and how she never once had that experience when her first child was an infant. A solution to this problem is not just the absence of the suffering of eczema (and atopic manifestations like asthma), or the appropriate training of immature immune systems, it is restoring to these families, to these children, the blessings of normality they really deserve. As you have rightly pointed out, funding for dermatological research can be a problem, especially for usually non-life-threatening problems like eczema that are perceived as less burdensome than they really are. Funding mostly comes from companies looking for monetizable treatments rather than reasons to realize these children don’t actually need treatment at all. Open source tools may be the answer, but as yet there is no accepted framework for anything equivalent to peer review and acceptance of open source innovations. However, from the standpoint of using what is GRAS to help patients now, I don’t think it’s really necessary to wait for either. 1) Doctors have for decades made recommendations regarding washing and personal care products, so this is nothing new. My site is already being recommended to patients by doctors, and is a problem-solving heuristic mainly involving healthy GRAS environmental strategies. (The article AANMA did in 2006 passed muster with a large illustrious medical board before they published it.) If you read and consider my site a useful resource, consider including a page listing the link as one possible resource. 2) Good allergists typically already make reasonable home environmental recommendations, such as allergen control (including for mold and dust mites), in the way Dr. Brazelton describes in his book Touchpoints. I was surprised in our experience at how little advance notice or preventive advice most people with eczema get on the whole issue of atopy and allergy, until those problems become serious. 3) Many physicians already recommend trying safe elimination diets since the list of typically allergenic foods is short and well-known. Giving parents a guide listing specific professionals such as nutritionists within the local medical organization, or generally recommending which specialists or written works could guide a safe and effective elimination diet would be better than just suggesting parents try it or eliminate certain foods. 4) Since the research came out, many physicians also recommend trying additional measures like probiotics. Many people then go out and try to find products that work but give up because of hurdles such as finding a dizzying array of products with other allergens in them, etc. Including a list of acceptable products or even coupons for the ones that have the fewest allergens could help people take these steps along with the others. 5) Until more research is done, where steroid treatment is desirable or necessary AND it is possible to recommend products without added detergents or allergens in them — such as topical steroid products without detergents (or compounded in Aquaphor) — it may be helpful to simply offer patients a choice of such products. Having a packet of resources patients can look at and use their own way is, in my experience, more helpful than just making verbal suggestions. I think it also makes patients more likely to involve their doctors when they really need to. I realize that was a long and complex answer. I felt I had to come up with a best estimate because people asked so frequently. I’m sure I’ve forgotten some of the rationale by now, but the above is much of it. I don’t think most people expected anything like a precise answer — and certainly, my estimate is pretty broad — rather, they needed an idea that trying the site strategies stood a good chance of being worth the effort. I don’t think there’s one single answer for everyone, as my letter describes, but I do think the problem-solving heuristic can be helpful — often exceedingly so — for a majority. I hear from quite a few doctors, but I don’t hear from many medical students. To be honest, there seems to be a direct correlation between experience level/position, and willingness to review and recommend my site. Very experienced doctors seem to be unfazed by the idea of using a resource like this once they have read it and see what it is. It’s rare for a medical student to reach out as you have just done. I hope you will continue to think about the idea of open-source innovation in dermatology, since conducting crowdsourced studies could solve funding limitations by essentially distributing costs in large clinical trials. I wish you the best in your professional life, and hope your spirit of independence and strong intellectual curiosity will help your patients as much as it will surely lead to success in whatever research area you pursue. P.S. My site experience is a quintessential open-source innovation story. I believe many seemingly intractable disease problems could be solved given accepted frameworks for assessing and disseminating open source innovations in medicine. Beyond eczema, I have specific, more serious problems in mind but cannot write about them in the same way as they cannot be addressed from a purely environmental standpoint and I am not a doctor. And, as a non-physician outside of accepted medical circles, I have as yet no clear outlet for open-source review, acceptance, and dissemination of such proposals that would be equivalent to traditional peer review. I believe certain medical problems have gone unsolved not because all of them need revolutionary new science — eczema certainly doesn’t need it and it’s not alone — but they’ve lacked the application of modern technical problem solving, and have suffered from low expectations for results characteristic of paradigms on their last legs. When I still had some hope of finding funding for this, or even entering for some kind of innovation/solutions prize, I found pretty much everyone offering such funding/prizes has fairly low expectations in regards to actually curing diseases. Prizes are offered for measurement instruments, or tools for research, not for curing diseases anymore. Even the X-Prize people are offering a big prize for a measurement instrument like a Star Trek tricorder — which, don’t get me wrong, is WAY cool — but not a single offer of a prize to cure any currently-deemed incurable disease. In many ways, medical students, especially medical students with health problems of their own, have the potential to be the greatest innovators in a modern open-source context. I have no doubt such frameworks will come to fruition. When they do, expect nothing less than a revolution in medical problem-solving. I hope it will help you and your generation to revolutionize medicine beyond our dearest imaginings. Wadonda-Kabondo, N., J. A. C. Sterne, J. Golding, C. T. C. Kennedy, C. B. Archer, and M. G. S. Dunnill. “Association of Parental Eczema, Hayfever, and Asthma with Atopic Dermatitis in Infancy: Birth Cohort Study.” Archives of Disease in Childhood 89.10 (2004): 917-21. Print. Zuberbier, Torsten, Seth J. Orlow, Amy S. Paller, Alain TaÃ¯eb, Roger Allen, JosÃ© M. Hernanz-Hermosa, Jorge Ocampo-Candiani, Margaret Cox, Joanne Langeraar, and Jan C. Simon. “Patient Perspectives on the Management of Atopic Dermatitis.” Journal of Allergy and Clinical Immunology 118.1 (2006): 226-32. Print. Anderson, P. Chris, and James G. Dinulos. “Atopic Dermatitis and Alternative Management Strategies.” Current Opinion in Pediatrics 21.1 (2009): 131-38. Print. Lapsley, P. “Itching for a Solution.” Bmj 330.7490 (2005): 522. Web. I’m afraid I don’t keep track of citations electronically; I will add in citations after the last post. There will be at least 4 parts. So when I say 25-60% of eczema cases result from detergents, I’m really considering the commonality of circumstances under which detergents would likely be the overwhelming factor in the outbreaks. These circumstances vary. Because adults often have more complicated health pictures, and because they have naturally less permeable membranes, I would expect detergent as the overwhelming influence in a smaller percentage of cases than for infants or children. For infants, with their far more permeable skin and their still-training immune systems, the percentage is far higher. Although, as I said, sometimes people can resolve the outbreaks by addressing one modulator or another, or all of them at once if relevant — the primary ones being detergents, environmental (or internal) mold/fungal/yeasts (or, for the internal, let us say, significantly imbalanced microbiome and consequences), or (typically certain protein) foods, or even in some cases the state of the immune system or membranes (skin, lung, and/or gut) health, because it’s all related — I think generally it’s possible to estimate how often the different major modulators dominate. As you know, a number of studies have shown that pregnant women given beneficial bacteria (probiotics) during pregnancy reduced the rate of eczema in their infants by roughly 20%. It is my belief that these cases are the ones in which an imbalanced microbiome /fungal modulator would dominate had the eczema developed. Probiotics do more than just compete with fungal organisms, Lactibacillus has also been shown to repair the gut barrier. (Also an important tangent I won’t go into, but this relates to the role of bio-surfactants and how environmental syndets interact.) Not that removing external detergents wouldn’t help those who would have developed eczema absent the probiotics— and there is overlap in the environmental strategies, relating to gut/membrane health as well — but for this segment of infants, about 20-30%, I feel the evidence suggests the fungal modulator dominates. My observation from experience is that those for whom food is the overwhelmingly dominant factor is about 10% of cases. This is not a hard and fast number, it’s just based on experience, and could change based on conditions. As you know, even the rates of eczema around the world continue to change rapidly. Noted Harvard pediatrician Dr. T. Berry Brazelton, whose writings in his book Touchpoints  gave me the spark that led to my own solution, observed in his book that he could prevent most cases of childhood eczema by identifying atopic parents and having them implement general allergy-healthy-home practices and avoid using detergents with their infants. I asked him just as you have asked me, on what research he based his recommendations, but he said it was just based on decades of medical practice and observation. Although my perspective and problem-solving heuristic are novel, there are researchers who have been publishing along similar lines and whose work supports these contentions. The most notable is probably respected dermatologist Dr. Michael Cork in the UK, who has for many years had success when his patients remove all surfactants entirely. He does not make the distinction between soaps and detergents as I do — he writes about not using “soap” because of presumed consequences to the skin, but then goes on to underscore it by saying many “soaps” have detergents in them anyway. I wasn’t aware of his work while we were problem-solving, but I think he has been publishing along the lines of surfactants playing a role in the eczema epidemic for years prior. So our views are very similar. The main difference and a significant limitation of the no-surfactant approach is that it’s not really very acceptable to most people to refrain from getting clean — Dr. Cork’s assistant said this to me, the trouble is getting people to do it — and in my experience as well as my understanding of the problem, it’s not really necessary to refrain from washing. In fact, many of my site users (including doctors using the site) have commented on how healthy their skin remains even when they engage in frequent hand washing. The main difference stems from perspectives on how skin is affected by washing. From empirical observation, I have come to see dryness and other impacts from washing as resulting from the residues of highly hydrophilic compounds ON the skin, because of the molecular properties of those residues and how ubiquitous those exposures are in modern environments, rather than the stripping of lipids from the skin by washing, which is the traditional view. In fact, avoiding the use of traditional soaps with molecular properties that do not cause the kind of increased permeability that most modern syndets do, actually makes it more difficult to get results in typical modern environments. Where most people with uncomplicated histories can see results in as little as a few days to a week with my site strategies, and those with more complicated histories on the order of a few weeks to a few months, these no-surfactant-at-all approaches seem to take on the order of 6 months to 2 years, and the outcomes seem less satisfactory. In any given situation, removing detergents, or changing another threshold factor (mainly environmental mold or certain protein foods, including via gut barrier health), or both, might bring a given person’s circumstances below the threshold of any potential for triggering the reaction. If a person’s outbreaks could have resulted because of more than one factor, but that person removed only one of them and stopped reacting because of bringing a threshold up, that person would blame the eczema on that one thing, when they might as easily have achieved the same result, at least in the short-term, by removing the other factor. Pelucchi, Claudio, Liliane Chatenoud, Federica Turati, Carlotta Galeone, Lorenzo Moja, Jean-François Bach, and Carlo La Vecchia. “Probiotics Supplementation During Pregnancy or Infancy for the Prevention of Atopic Dermatitis.” Epidemiology 23.3 (2012): 402-14. Rao, R. K., and G. Samak. “Protection and Restitution of Gut Barrier by Probiotics: Nutritional and Clinical Implications.” Current nutrition and food science 9.2 (2013): 99–107. Print. Anderson, P. Chris, and James G. Dinulos. 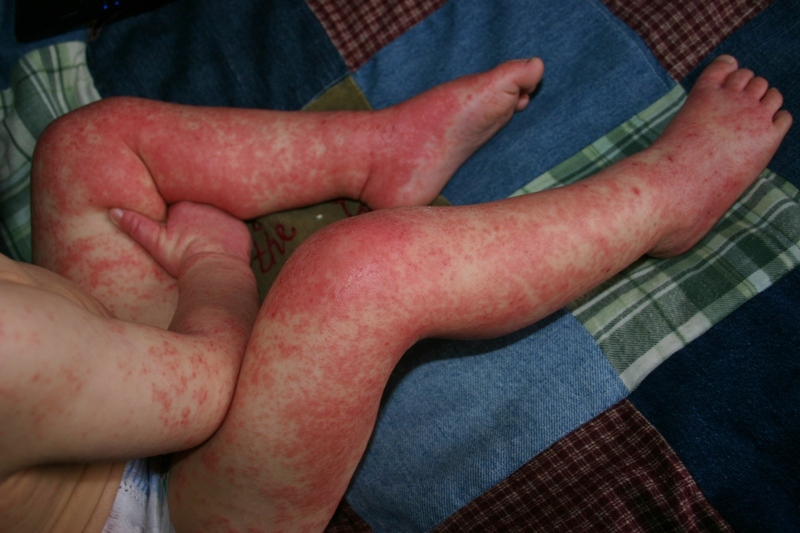 “Atopic Dermatitis and Alternative Management Strategies.” Current Opinion in Pediatrics 21.1 (2009): 131-38. Web. Brazelton, T. Berry, and Joshua D. Sparrow. Touchpoints: Birth to 3. Cambridge, MA: Da Capo, 2006. Print. Aberg, N., B. Hesselmar, B. Aberg, and B. Eriksson. “Increase of Asthma, Allergic Rhinitis and Eczema in Swedish Schoolchildren between 1979 and 1991.” Clinical Experimental Allergy 25.9 (1995): 815-19. Print. This question was such a good one and needed a more complete answer than I could give in a short blog post. I will be rolling out the entire letter in 3 or 4 parts, and refining it as I go. I will be asking more than one doctor I know for feedback, and revising as needed. Here’s the link to Part 1 of the letter. I hope the information is helpful. This is a good question, and the answer not a simple one. The estimate is not really equivalent to a traditional epidemiological statistic, but rather it encompasses circumstances related to outbreaks, per my empirical observations and ideas, and a view of the relevant medical literature through this new lens. On my website, I wrote that detergent-reactive eczema “likely accounts for 25-60% of eczema, depending on the age group and locality, higher if other allergies and an inherited predisposition are factors.” I believe I can now propose a revision of the Hygiene Hypothesis that not only accounts for the rise in eczema and atopy, but can satisfy conditions of causality and leads to solutions consistent with the underlying basis. However, the issue is more complex than saying one thing underlies a certain percentage of cases and another thing underlies others. At any given time, some people may experience no pain, some may experience more pain than others under similar circumstances, others more chronic pain than others for a variety of reasons. The percentage of people experiencing pain depends on the circumstances. Some circumstances happen more frequently than others. Sometimes accident or disease processes that trigger pain unnaturally cause the pain itself to essentially be a “disease” problem. But fundamentally, pain in our bodies is a signal that everyone can express. Let me also be very clear by restating once again that I am differentiating historically “normal” allergy from the modern manifestation of eczema and allergy, which are not normal. If eczema is a signal, most eczema today is almost certainly the result of unnatural environmental conditions inappropriately triggering that signal — or, modulating down thresholds to reacting — with a genetic component to the susceptibility. I believe based on my present understanding that the people with naturally lower thresholds to reacting in normal environments would otherwise have a genetic advantage. Allergens are similar to pathogens to the immune system. To the extent that harmless allergens take more energy to differentiate from pathogens, there is probably a survival advantage to people (or — speaking to possibly evolutionary roots — to migratory groups that have such people among them) whose immune systems can tell them to reduce exposure to certain benign substances that make the immune system’s job more difficult. An interesting aspect of allergy is that “normal” allergy makes sufferers miserable in a way that often points to the source of the misery — aeroallergens relate to breathing symptoms, contact allergens to skin, etc. — but without incapacitating. Allergy concurrently increases adrenaline, giving sufferers the ability to move away from what is making them miserable. I believe there is probably a survival advantage in the more ready expression of this signal under normal environmental conditions, and that there is likely a way to support my overall perspective on allergy using genetic archeology. Restore more normal environmental conditions, and the signal is still triggered under the right conditions, only far less often and in a more “normal” and helpful way (giving the conscious brain important feedback). But the signal can be triggered in anyone, I believe, under the right conditions. The ISAAC studies (I’m remembering off the top of my head, please correct me if it was another source — after I post this, I will go back and put in the citations in a few days anyway) (Feb 2017 update – I am not sure this is the original paper I meant but it’s close ), showed a roughly linear relationship between atopy rates and eczema rates by nation. If you accept that the expression of atopy is mainly the result of abnormal modern environmental conditions in recent decades — given the rapid rise, significant prevalence, and genetic aspect, most serious researchers take that perspective — then nations with the lowest rates of atopy would be most likely to demonstrate historically natural rates of eczema. Off the top of my head, rates of eczema might be low single-digit percentages, or even a fraction of a percent. I think there is a relatively short list of threshold modulators and a longer, well-known list of triggers. Threshold modulators are where I believe the solution to the eczema problem lies; they seem at first glance to be unrelated, but I think they can be tied together in a simple and logical way. (Also a long discussion for another day.) Detergents — which my site deals with at length because their role is as yet poorly recognized and they are a relatively new environmental issue — abnormally modulate that threshold. I believe high levels of environment mold exposure (to be more precise, dampness-related exposure), or abnormal internal fungal involvement, is one of the more significant normal modulators of the threshold, in fact, may be primarily responsible for the adaptation. Certain protein foods associated with full-body eczema outbreaks, too, can modulate that threshold, or be both modulator and trigger, under different circumstances. As I said, I believe there is a connection between these and detergent effects, but that’s a complex discussion for another day. (Discussed briefly in several posts on the blog.) Basically, I suspect compromised gut barrier leading to proteins in the blood stream — and consequently increased levels of circulating endogenous detergents to denature them — has a similar impact to abnormal environmental detergent exposures. Associated outbreaks could run the gamut between normal and abnormal and/or amplified by other abnormal threshold modulators. Abnormal environmental conditions today lead to abnormally lowered thresholds to reacting, especially in those with a certain genetic susceptibility. Abnormal environmental conditions also effectively amplify traditional triggers (for example, detergents are known to increase antigen penetration). Again, this isn’t necessarily a topic I can cover in this letter, but I believe all of these seemingly unrelated factors tie together. There is a proportionality to the reaction to detergents — a proportionality to the impact on permeability — but the reaction itself is not a simple irritant or an IgE-mediated allergy to detergents, as I discuss on my site. The eczema, I believe, in its abnormal manifestation resulting from abnormal environmental influences today, is an amplified, unnatural triggering of a normal signal. So when I say 25-60% of cases result from detergents, I’m really considering the commonality of circumstances under which detergents would likely be the overwhelming factor in the outbreaks. These circumstances vary. Mendell, Mark J. et al. “Respiratory and Allergic Health Effects of Dampness, Mold, and Dampness-Related Agents: A Review of the Epidemiologic Evidence.” Environmental Health Perspectives 119.6 (2011): 748–756. PMC. Web. 17 Feb. 2017. Eczema, detergents, and bat white-nose syndrome? When I originally wrote SolveEczema.org, I always understood that a medical study or publication would be necessary to bring the ideas into the medical mainstream. I did the site because I wanted to help as many people as possible in the meantime. I have also always realized there are other implications to these ideas beyond eczema, but didn’t feel in a position to write about them. I was moved recently by reading a Science News story about bat white nose syndrome, which is so lethal, the word “extinction” is being bandied about. I spent weeks composing an email to a respected bat researcher who is on the forefront of trying to save these beneficial creatures. I’m sure this is going to seem like it’s coming from left field, so it’s unlikely to make an impact. But as with writing the SolveEczema.org site in the first place, I had to try. I’m posting the letter here, edited for clarity, as it again discusses some of some of the ideas underlying SolveEczema.org. I have followed your work on bat white-nose syndrome in lay publications like Science News. I have for many years been concerned that something like this could happen to bats because of an unrecognized environmental influence that, if at issue, I’m surprised took even this long to cause such devastation. I have to ask you to please bear with me while I explain. There are so many preconceived notions to overcome about what I am about to say, there isn’t really an easy way to say it. For 8 years now, I have run a noncommercial website with a novel approach to eczema and allergies that helps families ameliorate or eliminate their children’s eczema and other atopic manifestations like asthma without any treatment, by getting to the environmental cause. Yes, I realize bats don’t get eczema, but please bear with me. The site has been used by people all over the world, including doctors for their own families, and has inspired a green cleaning book. Last year alone, even though I don’t do any advertising or optimization, the site had nearly 40,000 unique visitors and 130,000 page views/360,000 hits, plus many thousands more on the associated blog. Around 80% of the visits are from bookmarks and direct links, only 20% from search engine links, meaning most visits are from people referring the information to each other and returning themselves. If you want to see a well-written, well-documented anecdotal demonstration of this, a mom in Georgia has been blogging about using my website to help her once severely eczematous son lead a normal life without treatment (that’s him on the right before she found my website): http://www.sammysskin.blogspot.com Again, this does relate to bats, please bear with me. Eczema, asthma, and allergy rates have risen precipitously in many nations around the world since WWII, affecting nearly every other child in some hotspots. Dogs and cats, by the way, face a concurrent increase in eczema and other atopic manifestations like allergies. Most mainstream medical researchers acknowledge that even though there appears to be a genetic susceptibility, given the rapid rise, and how those who move from geographical regions with less eczema to regions with more eczema acquire eczema at the higher rates, the cause must be primarily environmental. People are using my website to not only eliminate their eczema, but also their asthma, allergies, and dry skin, in the way the underlying basis predicts. The underlying problem is the way modern synthetic detergents — which are dramatically more hydrophilic and oleophilic than the surfactants (soaps) used by humans for thousands of years prior — affect the skin barrier, causing excess water loss and thinning of membranes. The reason detergents cause such dramatic effects is not because, as is traditionally believed, washing products strip the skin of oils. In my observation, it’s because residues that persist on the skin directly increase the permeability and cause excess water loss as a result, even just those residues that migrate from contact with clothing washed in detergent, or detergent-laden dust. Ingested detergents on dishes and even in processed foods, and inhaled detergents in dust (which is predominantly skin cells and lint in modern indoor environments, in other words, full of detergents) affect lung and gut membranes as well. The surprise was that ingested detergents also affect skin membranes. In my experience, the eczema is expressed proportionally to permeability increases. Everyone, not just those expressing eczema, appears to be affected and experiences degradation of the skin barrier and other membranes. Only some people, especially children whose skin is naturally more permeable and absorbs more detergents (and proportionally so), experience the eczema more readily. Detergents also facilitate antigen penetration of membranes and thus overall antigen load, and can negatively impact sensitive membrane healing times. It is my belief — and I realize these are all just my ideas but they do happen to lead to real solutions for many, many individuals who could not find those solutions in standard approaches on the subject — that the expression of eczema is, under normal environmental conditions and in the absence of these modern exposures, a “healthy” signal from the immune system to the conscious brain when faced with too much allergen/antigen in the environment, under that immune system’s particular conditions at the time, in the same way that pain serves the nervous system (mostly as a warning to the conscious brain). The classic interpretation of allergy is that the immune system becomes confused and attacks the body, but my interpretation is that allergens being similar to pathogens to the immune system, require more energy to differentiate between them. If the immune system can “tell” the conscious brain to offload allergens to better and more accurately face a microbial threat, for example, allergy could confer a survival advantage. Aeroallergens typically produce respiratory symptoms, contact allergens cause skin symptoms, etc. There is a roughly linear relationship between eczema rates and atopy by nation, and in societies where there is very little of both, the rates of eczema can be very, very small, i.e., the triggering of that signal is uncommon and could be beneficial. In other words, I believe the eczema itself is a signal that some people express, under certain genetic and physical conditions. Eczema isn’t a problem that affects one person and never the next, there is a continuum, where more and more people are affected as the environmental cause increases. Everyone has the potential to express this signal. In severe atopic dermatitis, the inputs, feedback, skin barrier, immune response, and expression of the signal are all abnormal and out of control because of modern environmental influences, overwhelmingly, I believe, detergents. The signal is expressed for some people as certain thresholds are crossed, for more and more people as the exposures increase. Remove those influences, and people can be completely normal, without treatment of any kind. In order to accomplish that, typically a whole household must make the changes, and inevitably, everyone in the household experiences surprising benefits — most notably to skin but also allergy — not just the person who had eczema. Please continue to bear with me, this is absolutely relevant to bats. It’s very important to realize that there can be very substantial physiological effects from very tiny exposures. And in the presence of small amounts of water — sweat, for example, or other membrane surface dampness or condensation — the effect on permeability is dramatically amplified. In the course of using the website to eliminate eczema, if properly implemented, it is a universal experience that everyone in a household undergoes a beneficial change in their skin, even if they don’t have eczema or atopy. Over the course of about two months, the skin becomes completely different: thicker, more supple, and less dry. Most people are eventually able to wash with soap and stop using moisturizers. This happens for anyone, for people who use the site just to eliminate dry skin. It’s clear, too, from empirical observation, that many people with eczema are affected by fungal organisms (and sometimes bacterial) while the skin is compromised, and those areas must be treated to kill the fungal organisms before the skin will completely heal. Research (with no cognizance of this detergent issue) also shows that people with eczema are more susceptible to infections on affected skin than people with skin conditions that also disrupt the skin, like psoriasis. Research with detergents on sensitive eye membranes show they can substantially increase healing times. Since fungal cells are more like mammalian cells than they are even like bacterial cells, and those fungal cells can replace mammalian cells, it’s necessary to be extremely careful in treating those “infections” or colonizations because if the fungal cells die off all at once, the result could be an alarming and even more compromising loss of skin, such as sloughing off of large surface areas and bleeding depending on how affected it is. If antifungal treatment is ramped up very, very slowly over time, though, die-off is minimized and normalization of the skin can be achieved over time without the risks associated with sudden die off. Fortunately, fungal organisms tend to grow slowly, so this process works better with fungal organisms than you might expect with bacterial. Here’s why I believe this is important to bats and specifically to your work: First of all, the obvious: bats’ wings are mostly skin. Bats (and frogs) live at that land-water/wet-dry interface, in other words, where they would constantly be affected by the small amounts of water that amplify the detergent effect on membranes I described above. 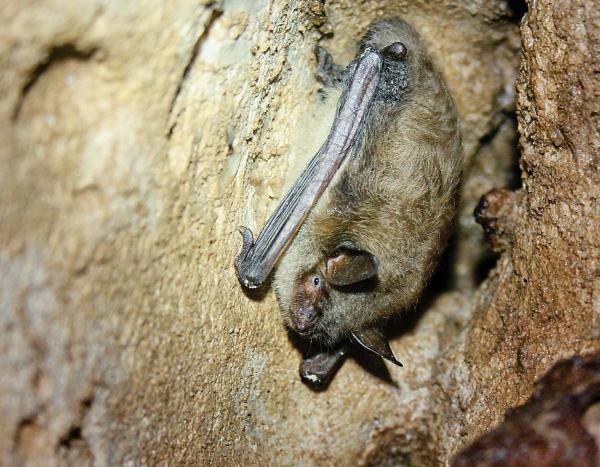 Although bats to my understanding stay in dry parts of caves, they do live in cool, dark, damp places where fungal organisms can be very opportunistic if a modern influence were to so fundamentally compromise bats’ evolved defenses. In other words, bats and frogs would in theory be most affected by detergent pollution, the proverbial “canaries in the coalmine”. It’s interesting that in Australia, Roundup was banned until the maker removed, not the poison, but the detergent in it which was killing frogs. 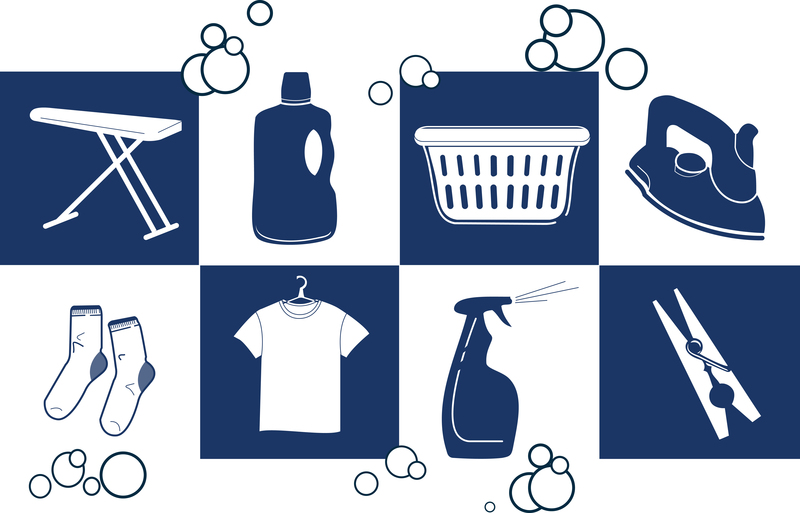 Detergents are ubiquitous outdoor environmental pollutants now, especially in aquatic environments. Their use has been on the rise outdoors as well as indoors in recent decades. They are readily absorbed (attached to, really) by living membranes. 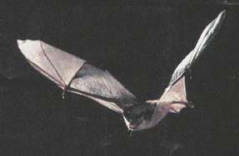 Bats in particular would be susceptible to exposure, as bats eat a lot of insects, obviously, and presently virtually all pesticides and herbicides for large-scale use are mixed and sprayed with detergents in order to reduce surface tension and spread the active ingredients more evenly. New biological controls intended to reduce poison use and highly target certain bad bugs without harming the good ones, if sprayed with detergents (as is almost certainly the case), may be having the unintended consequence of exposing bats to more ingested detergents as they consume non-targeted insects that have detergents on them. 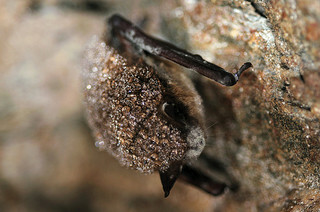 Bats could also outright come into contact with sprays or dusts, or detergents in water, and it doesn’t take much. If detergents affect bat membranes the way they do human skin – and I see no reason they wouldn’t – detergents would both degrade bat membranes (thinning the wings) and make them more susceptible to fungal colonization. Ingesting detergents also appears to cause eczema and membrane degradation in human skin — difficult-to-correlate membrane degradation even in humans who do not express eczema — and can do so in very, very small quantities. Although other mammals may not express eczema, which as I believe is an evolved signal/adaptation and not the direct effect of detergent contact irritation, the underlying basis for the skin barrier dysfunction would almost certainly extend to other mammals, whether they express eczema or not. Since humans and presumably other mammals use endogenous surfactants in critical functions of life, including to control skin membrane permeability, it makes sense that exogenous detergents could throw a monkey wrench in this adaptation. It’s also very possible that there is no adaptation that would allow for a survival advantage to bats by expressing this signal of eczema as there would be for larger mammals. In other words, there is no reason to believe bats would experience any benefit from eczema as humans and perhaps even their pets would, so any corresponding genes would have died out long ago. Nevertheless, bats (and frogs) would experience negative impacts to their membranes from significant exposure to exogenous detergent sources. I want to reiterate that ingested detergents, even in small quantities, can cause surprisingly significant physiological effects. The amount of detergent that penetrates the skin of a banana or shell of an egg from normal processing practices, if ingested, is enough to cause patches of skin changes in susceptible infants. These are some of the most minor influences in a home today, in the most susceptible group — I am just pointing out that if other influences are effectively controlled, in the most susceptible (babies), even such minor influences can have visible effects. How much more detergent are bats undoubtedly consuming and contacting relative to their body weight and skin surface these days? I have witnessed infants go from clear skin to bubbly, itchy, severe-looking rash in 20 minutes just from contact with the clothing of an adult who was substantially detergent-free except for face wash or moisturizer containing detergents, with no direct skin-to-skin contact. I have seen this even from an adult, in similar circumstances, simply leaning over a susceptible infant, without any direct contact. If these children are removed from the exposure and washed immediately with ordinary soap (see my site for how “soap” is defined, very important) to remove detergents, reversal of even a severe rash to normal skin (provided the infant has been living in a substantially detergent-free environment already) can be just as rapid and stunning. I think in order for researchers to truly figure out whether it’s possible to help the bats they are studying to recover, researchers probably need to remove that environmental influence from their labs and persons completely. If researchers are not detergent-free, they are producing detergent-laden dust that would affect creatures as tiny as bats, with already compromised membranes, in ways most people could never imagine. Understanding these influences from the detergent-eczema arena could shed light on how and why bats are being affected, and how to help them in new ways. It’s not as difficult as it might sound to achieve results, but it’s necessary to really understand and these are my own novel ideas, not yet in the mainstream of eczema research. But they are helping a great many people worldwide in the way the underlying ideas would suggest. I want to propose to you that this line of inquiry is worth looking into, because if detergents are indeed an unrecognized factor in worldwide frog and bat population crashes, rescue of bats may be more effective, and the long-term solutions could be straightforward, if not simple. People making newer biological controls for targeted insecticides may simply need to take care to use only surfactants which are no more hydrophilic than typical alkaline soaps, for example. In one interview I read recently, you are quoted as saying, “For a long time, a lot of us — myself included — said fungal infections don’t kill mammals, so that can’t be what’s killing the bats. 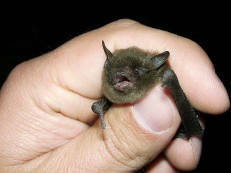 But it turns out that because of the bat’s unique hibernation cycle and the nature of the fungus, it does kill them. The big question now is: Can we prevent extinction?” You may be surprised to learn of a growing body of research discussing new kinds of fungal susceptibilities, colonizations and diseases in humans, especially children, because of modern influences. Like you, researchers believed these microorganisms had no role in human disease — until a variety of new influences like chronic use of steroids or antibiotics — and I would personally add, detergents — created new susceptibilities especially in vulnerable populations. Given what I have learned over the years about detergents and eczema, I think it’s highly likely that detergent pollution plays a central role in susceptibility of bats to fungal diseases. Over the years, I have occasionally sent letters like this to researchers without response. It’s very likely my letters just end up in spam folders, as I expect this one is likely to. So I am posting it on my blog as well, in hopes that one of my readers may have a bat researcher in their lives with whom they can share it. This letter also happens to explain the underlying concepts again which, if nothing else, also helps my readers. I am moved by the specter of the extinction of these beneficial creatures; I hope this letter proves useful to you. Thank you for taking the time to consider my input. I wish you all the best in your work to save bats from this urgent threat. This work by A.J. Lumsdaine is licensed under a Creative Commons Attribution-NonCommercial-NoDerivs 3.0 Unported License. Detergents in (some) Water Softener Salt?! What? Detergents in water softener salt?! Alert for SolveEczema.org users: TAKE CARE TO USE ONLY WATER SOFTENER SALT PRODUCTS IN THE SOFTENER THAT ARE PURE SALT, AND NOT A SALT PRODUCT WITH ADDITIVES!! Read on. Soaps work better, they clean better, in soft water than in hard water. Soaps perform better than detergents in soft water — one reason detergents were invented in the first place was to perform across different water conditions including hard water. Detergents perform better in hard water than soaps do , though nothing performs what I could call well in hard water, soap or detergent. Because soaps perform so much better in soft water, I recommend mechanical water softeners to people who otherwise have hard water. Soaps work better, it takes less time to wash out old detergents from clothing, it takes less soap by far to get things clean, white fabrics stay white and don’t grey as they do in hard water, and hair and skin stay soft. It’s easier to keep bathroom surfaces clean without so much scale on surfaces. There are many advantages. As a result of these studies, a group in the UK did A randomized controlled trial of ion-exchange water softeners for the treatment of eczema in children. In contrast to the studies above, which simply measured water hardness and correlated with eczema prevalence, here mechanical water softeners were installed in some homes and the results to the eczema of the children with and without assessed. Participants were told not to change the way they bathed or washed their laundry. The results: No benefit was found from the softeners, although interestingly, over 50% of the parents chose to buy the water softeners at the conclusion of the study. Given that the water softener study protocol asked families to maintain their washing and washing product habits through the trial, it’s not surprising to me that they found no benefit from the softeners. I have recently become aware of a another potential concern for SolveEczema users. SOME WATER SOFTENER SALTS HAVE DETERGENT ADDITIVES! Additives help keep the ion-exchange resin in the softener clean, and prevent inconveniences like “bridging” of the salt, and since water softener companies are unaware of the connection between small amounts of detergent and eczema, and believe the amount of detergent introduced by the additives is small, they believe it’s all good. Because of the additives, Morton also does not recommend using the water softening salt with additives in aquariums. As mentioned above, they do sell water softener salt products without additives, and I called their corporate office recently to suggest they pay attention to the issue of detergents and eczema, since much potential future growth in the water softener business will likely come from families whose kids have eczema (from detergents). 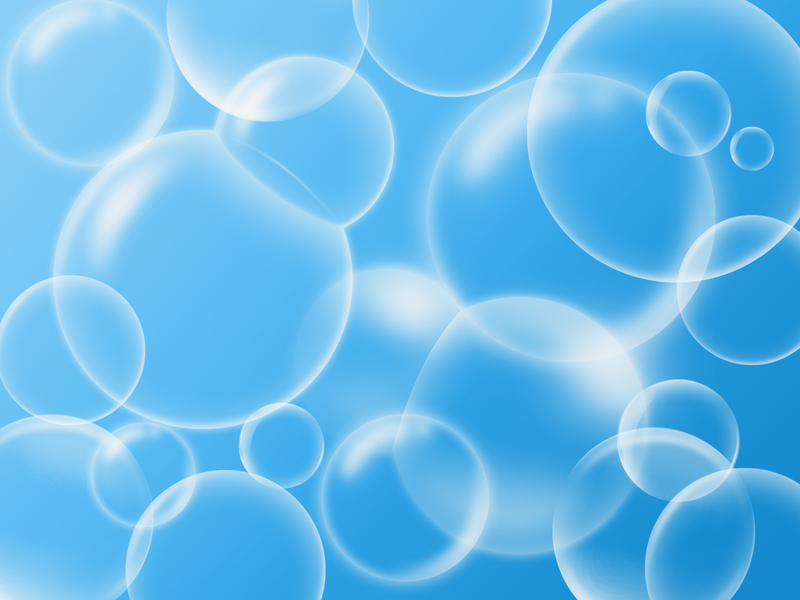 “What exactly is “Softener Care” additive? It appears that Diamond Crystal/Cargill also sells products without the additives. Our local hardware store always sold only pure salt for the water softener, but when this came to my attention, my husband told me he had just bought a bag that was different because the hardware store stopped carrying the old kind we had been using. Lo and behold, it had detergent additives in it! Luckily, he hadn’t yet poured it. It gets exhausting keeping after all the many sources of household detergents, but this one is particularly important to get right, since it would introduce low levels of detergents in the household water supply. TAKE CARE TO USE ONLY WATER SOFTENER SALT PRODUCTS IN THE SOFTENER THAT ARE PURE SALT, AND NOT A SALT PRODUCT WITH ADDITIVES!! First, you researched your daughter’s problem and implemented something that helps — so you are a problem solver, and that’s what’s important here. I come across many moms who are very systematic, determined, and smart, many of whom have no science background whatsoever — and they’re as and sometimes even more effective than someone whose training might at first be a barrier to looking at the problem a new way. So don’t feel like it’s you. It’s just the position we are all in because of what’s in our environment, how ubiquitous that influence is, and how poor the information we have is to assess it. I have had friends who told me, “Just tell me what to use” — which works up to a point, but getting the best result takes understanding what is going on and problem-solving in your own environment. Often people think they are detergent-free yet miss even very obvious influences until they do understand. Plus, products are different everywhere — I get letters from all over the world — and companies change their products all the time. I just got a letter from another mom who ordered some products from a company I recommended, Eco-Me, and there were sugar detergents in the products she received. I looked on the company’s website, and they had different pages on their site for those same products with completely different ingredients. I remember when I first checked them out, everything they made was okay per the site, but no longer. They may be in the process of reformulating. Worse, they have used the word “soap” in the INGREDIENTS list for something that is not a traditional soap. It’s the first time I’ve seen “soap” used in the ingredients for something that isn’t a true traditional soap. However, if you understand, you should be able to figure that out when you evaluate even those products. One of the most important reasons to understand is for parents to really see the problem as environmental and not a “defect” in their children. There’s a huge difference, psychologically, between needing a chronic treatment and knowing the problem isn’t you, especially for kids. The video slideshow overview explains everything fairly simply, in case you haven’t already watched it. You may want to take a look again at the slide showing the difference between soap and detergent chemical names, it may help. So, everyone has trouble assessing ingredients. I have trouble assessing ingredients. If this were easy, more people would have figured it out. The underlying principle is this: I believe “normal” eczema and allergies are a signal from the immune system to the conscious brain, the way pain is for the nervous system. Whether the “signal” is expressed or not depends on whether a certain threshold is crossed, and that depends to some extent on the state of the immune system, genetic factors affecting skin and immunity, environmental factors affecting skin (such as local humidity, but also whether the skin is damaged because of long-term exposure to detergents, etc), the state of the gut and whether certain proteins are crossing into the bloodstream (and, I suspect, necessitating increased circulating biological detergent to denature those proteins), etc. But by far the greatest influence now comes from the effect of modern synthetic detergents, which (because of how they are designed) dramatically and unnaturally increase the permeability of skin. In my experience, the expression of the eczema is proportional to the effect on the permeability. Removing detergents is not very successful with water alone, residues are incredibly persistent. As the site says, it’s necessary to use something else to get them out. Plus, people need a way to get clean in the normal course of life. So, what else can be used? Something that doesn’t increase the permeability of the skin beyond a certain point. The major class of washing products that work appears to be, empirically, traditional alkaline soaps. Luckily, because they are made in such a narrowly defined way per the relevant characteristics of the end products, they’re pretty much all okay (provided the individual ingredients aren’t allergenic for a given person). The rise in eczema, asthma/atopy around the world in the latter half of the 20th century has coincided with the increased use of detergents. Many of the observations that led to the hygiene hypothesis take on new meaning when looked at in that light. For example, people in many rural areas have less eczema than in urban areas. One proposed interpretation is that people on farms are less clean and are around certain germs that challenge the immune system. I’d make the separate observation that soapmaking is traditional in rural environments, farmers spend more time out-of-doors (instead of in indoor environments with the greatest exposure to detergents and detergent dusts). Amish farm families have an even lower rate of eczema than farmers in the same regions; the Amish still make and use their own soap. As I describe in detail on the site, words like “soap”, “detergent”, “surfactant”, “emollient” and others, are used very differently in different consumer contexts. Common definitions have changed over time. I define the words in a way that allows people to get results with my site, and my definitions are definitely supportable on technical grounds. However, that’s not how those words are necessarily used when labeling products you buy. The word “surfactant” just means surface active agent — substances used to reduce the surface tension of water — and covers both traditional soaps AND detergents (by my definition of those words). HOWEVER, on ingredients labels, the word “surfactant” is invariably used to describe synthetic detergents. Often it is used to avoid using a name with more negative connotations for consumers. Lots of products containing SLS or similar detergents describe them as “coconut-based surfactants”. So, to be very technical about it, no, you don’t have to avoid all surfactants, because soap is a surfactant, but you probably do need to avoid anything LABELED as having a “surfactant” for the time being, because invariably it means it contains a synthetic detergent. To use the site, you can use borax, baking soda, vinegar, or other non-surfactant washing products I mention. And you can use any traditional alkaline soap (so long as you don’t have an individual allergy to the ingredients and it’s not so alkaline as to be badly drying). There is a short list of the most commonly used soaps and their chemical names on my slideshow. If the label says “saponified [oil]”, that’s soap, or if the label lists an oil and potassium or sodium hydroxide, and no detergents, that’s soap. Castile soap is soap made with olive oil. Fortunately, the number of pure soap products seems to be growing. Sometimes products list only the oils in the ingredients, and it’s not clear whether the products are traditional soap or not. In that case, if you want to try the product, it’s better to call or write the company first to verify what the product is. Is it just oil? Is it saponified oil? Or is it something else made from those oil ingredients (which would make it a detergent by my site definition). As I say on the site, check ingredients. I do have one caveat, though. I tell people to ignore the front label, and to read the ingredients label, which tends to be more accurate and precise. The front of the product may say “soap” but the product may be entirely detergent. Usually the ingredients label, however, will be more clear. If it says something is a “saponified” oil or a “soap” it’s usually traditional alkaline soap. IMPORTANT NOTE: However, another mom brought to my attention recently those Eco-Me products I mentioned above, that used to all be non-detergent — they used the word “soap” on the label of their dish soap product for a detergent. It’s the first time I’ve seen that. The label (Suzy dish soap) includes: ” Coconut-base Soap (Decyl Glucoside)” — “Decyl glucoside” is a sugar detergent. Given the trend in the “natural” product industry, it’s probably a good idea to search the names of the most common sugar surfactants and know what they are. You’ll generally see the roots of the words for sugar in the names (glucose <=> decyl glucoside). And also to just know the chemical names of the most common soaps. The only reason I mention charge properties (anionic, nonionic) is that soap is anionic, so if a surfactant ingredient is described as an amphoteric or nonionic surfactant, you know it’s not soap. However, many harsh detergents are anionic, too — sodium lauryl sulfate is anionic, as are many problematic syndets. Additionally, it’s important to realize just how problematic hard water can be. Few people really appreciate just how much of a factor water hardness is to getting results. Soaps clean so much better in soft water, far less product can be used, and everything rinses better. Skin and hair feel so much better, too. Soaps don’t work very well in hard water. Nothing rinses well. Very hard water can mean the detergent removal process effectively takes months rather than weeks or days. Many if not most of the people who contact me with problems, it turns out, have hard water. I do my best to give a list of products that will work, and I check the ingredients very carefully. But most companies that sell soap products also sell some or many products that don’t meet the site criteria. Products change, and there’s no way for me to keep up on everything. I go to a great deal of trouble to describe how to figure out products on the site, but unfortunately, the difficulty is just because of the situation we are all in, it’s not you, and it’s not for a lack of scientific skills. I know you asked for a “dumbed down” explanation; please let me know if anything is still unclear. It will help me know what I need to do a better job explaining for the book. I hope it helps. Good luck to your family and your baby for a regular no-eczema childhood! I believe now that a persistently clear diaper area — when disposable diapers are used — for a child who otherwise has generalized eczema, is PATHOGNOMONIC of detergent-reactive eczema. Now, it’s possible that the problem could be detergent-reactive eczema yet the diaper area not be entirely clear, such as with diaper rash or yeast-infected rash, so having a rash in the diaper area doesn’t necessary rule out detergent-reactive eczema. 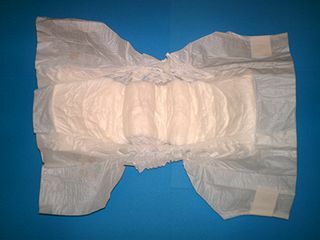 However, having a CLEAR diaper area when disposable diapers are used, despite generalized eczema, is pathognomonic for detergent-reactive eczema. Although this is probably no surprise to SolveEczema.org readers — it makes sense given the basis for the eczema — I wasn’t willing to, well, go out on a limb until I knew more. And, until there is a scientific study or studies, I am open to finding out that I am wrong. But I don’t think so.